The rest of the western suburbs have got a lot to offer from their culture, local employment, cafes, retail, restaurants, ferry access and education. Much like hidden treasures waiting to be found. Discover World Heritage sites in Parramatta, watch sports and music stars perform at Sydney Olympic Park, meet koalas at Featherdale Wildlife Park and more. All in one major region located west and south-west of the Sydney business district, Western Sydney, sometimes referred to as Greater Western Sydney, covers 12 local government areas which include Blacktown, Camden, Canterbury-Bankstown, Campbelltown, Fairfield, Hawkesbury, The Hills, Inner West, Liverpool, Parramatta, Penrith and Wollondilly. Experience amazing outdoor activities such as whitewater rafting in Penrith, riding steam trains in Thirlmere and swimming in the pool of Olympic champions at the Aquatic Centre in Sydney Olympic Park. 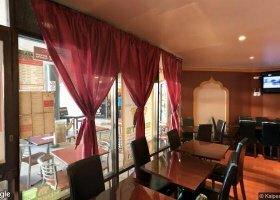 Set on a journey from wine tasting in Camden, to sampling the culinary treasures of Vietnamese cuisine in Cabramatta and tasting the best Indian Tandoori Harris Park has to offer. Art enthusiasts can stop by and marvel the cutting-edge contemporary art in Campbelltown while nature lovers can go bushwalking and canoeing in the wilderness of Thirlmere Lakes National Park. Other major tourist attractions in Western Sydney include Blue Mountains, Western Sydney Parklands, Calmsley Hill Farm, Blacktown International Sportspark, Eastern Creek Raceway, Nurragingy Reserve, and Auburn Botanical Gardens. Getting to most of these attractions is easy through public transport. Whatever you're into, you’ll find heaps of enjoyable things to do and see in Western Sydney. There are also great schools, large shopping malls, multicultural eat streets and facilities in the region just within reach. The short travel time from the western suburbs to the city is a plus. Sydney West is a booming district. Explore its diversity and you might just end up not wanting to leave anymore. Penrith is an adventure wonderland less than an hour from Sydney’s city centre. It is one of the major commercial centres in Western Sydney where Nepean Village and Westfield Penrith are located. It offers great outdoor activities from whitewater rafting and kayaking by the Nepean River to bushwalking and cycling in the Blue Mountains. Appreciate art and see world-class performances at the Penrith Regional Gallery. There's a great selection of private schools such as St Paul's Grammar and Penrith Anglican College. 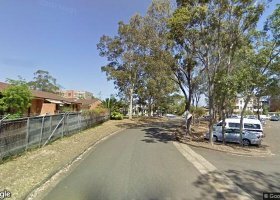 There is also a range of government schools such as Arthur Phillip High School which is within walking distance of the Parramatta Train Station, and Macarthur Girls High School. Public schools and facilities like sporting fields and walking tracts are common in the area. Major upgrades at Penrith Lake to fill up the old quarry and a second airport in Badgerys Creek is currently on draft. 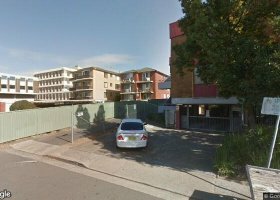 New apartments will surely pop up near the lake and soon Penrith will become another CBD. The Western Sydney Local Health District is home to some of Australia’s largest health and hospital campuses, Westmead Hospital being one of the more well known venues. It provides a full range of medical services and has General wards, as well as more high dependency wards including a Coronary Care Unit, Intensive Care Unit and Neonatal Intensive Care Unit. Other hospitals and medical services include the Sydney Southwest Private Hospital, Blacktown Hospital, Fairfield Hospital and the Western Sydney Cannabis Clinic. Parramatta is also the major transport hub for Western Sydney, servicing trains and buses, as well as having a ferry wharf and a future light rail service. 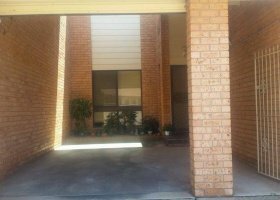 The train station is very accessible, with it linking to Westfield Parramatta Shopping Centre and within walking distance of the Parramatta CBD. 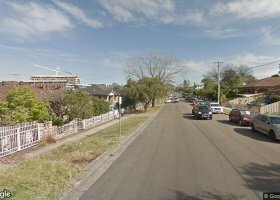 You are able to catch the T1 Western Line trains to the City from Emu Plains. There are also a multitude of bus services like the M52 service that makes its way from Parramatta Station to Circular Quay, as well as buses that go to Blacktown, Liverpool, Penrith, Leppington and Richmond. Additionally, the F3 Parramatta River service offers a very nice and relaxing journey and stops at Olympic Park, Cockatoo Island, Barangaroo and Milson's Point Wharf. There are many more to Western Sydney for visitors to discover. Attractions, heritages, nature, food and culture are some of Australia's best kept tourism secrets in Sydney West that are slowly being unraveled. The regions' gems include Harris Park, Penrith and Parramatta. Harris Park has created an explosion of great flavours from authentic Indian eateries, to Lebanese sweet stalls, Greek restaurants and Japanese teppanyaki shops. There's also a small shopping area around Marion Street that locals enjoy if you want to experience everyday life with the local residents. The suburb is also near major commercial centres in Parramatta. It is the home of several historic sites, including Experiment Farm Cottage located on Australia’s first European farmstead. The residential side are mostly heritage houses but other parts are converting into units. 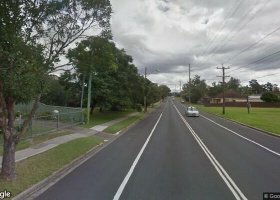 The cost of buying into this suburb is still cheap given the fact that it is located 23 kilometres west of the Sydney CBD and just a stone-throw away from Parramatta. But as Harris Park continues to evolve, so does the cost of living. Parramatta, also known as Sydney’s second central business district, is a city in itself. It is considered a major business and commercial centre. This suburb's growing community has fostered cultural activities in the local area, and as such, introduced new restaurants and cafes. As a matter of fact, the vibrant multicultural eat street at Church Street is one of the best places to dine in Sydney. Most of Australia's earliest colonial structures such as the Georgian Palladian building located in a World Heritage convict site was restored, preserved and is open for visitation. Join the Parramasala Festival and taste food delights from around the world. Parramatta is also home to the world-class Riverside Theatre. The Powerhouse Museum, currently located in Ultimo, will soon move to the area too. There is indeed more to Parramatta than just a ferry trip under the Harbour Bridge. The journey to Parramatta itself is so worthwhile that you just might want to stay. Western Sydney is a multicultural hub and a great swathe of adventure and opportunities. 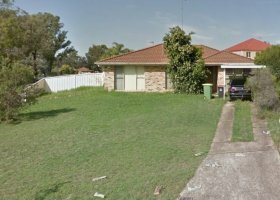 The lifestyle, value for money and ease of access in Sydney West appeals to mostly young families and professionals looking for better housing options. The emergence of more high density residential and commercial unit developments in these areas are indicators of the region's booming rental market. Bigger property prices for rather shrinking units will not come as a surprise. The construction of dual purpose development, such as high-rise buildings with commercial on the ground floor and residential apartments above, could result in taking away carpark areas and tightening road parking in the streets for both commercial and residential areas. 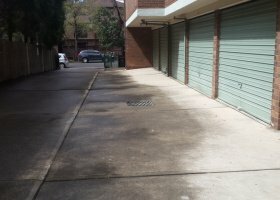 These possible storage and parking challenges should not hinder you from moving to your ideal western suburb. We at Spacer aims to provide the storage and parking solution you need. Let us help you find that perfect spot to park or that exact storage size you're looking for just within your proximity. Enjoy the lifestyle you choose without having to worry about storage.